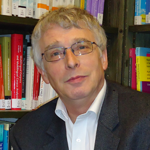 Prof. Ken Mayhew is the Principal Investigator on the DUVE projects as well as the Founding Director of the SKOPE research centre (Skills Knowledge and Organisation Performance) based at Department of Education at University of Oxford. He is the Emeritus Professor of Education and Economic Performance at University of Oxford and Emeritus Fellow in Economics at Pembroke College. He started his career in Her Majesty’s Treasury, was Economic Director at the UK National Development Office, and has been a consultant to many public and private sector organisations at home and abroad. His major research interests are in labour economics, HRM, and the economics of education and training. 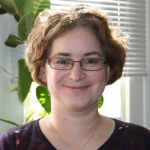 Dr. Susan James is Co-PI on the DUVE projects and is responsible for project management. Susan is also the Deputy Director of SKOPE. Susan’s entire career has been in education; she has taught in secondary schools in Australia and England. Her research interests include: VET systems and policy, apprenticeships, school-to-work transitions, work-based learning, on-the-job and off-the-job training, pedagogy in formal and informal settings, and low skill and low wage occupations. She is currently researching vocational excellence and working on a project mapping the skills industry. Dr. Nokelainen is a Professor of Education (Learning Environments) in the School of Education at the University of Tampere, Finland. He is also Adjunct Professor at the University of Tampere (Vocational Education), Adjunct Professor at the University of Helsinki, Finland (Methodology), and the Tallinn University, Estonia (Education). His research interests include investigation of professional growth and learning (self-regulation), exceptional abilities (professional and vocational excellence), quantitative methods and psychometrics (Bayesian statistics), and educational technology applications. Professor Nokelainen has over one hundred scientific publications, including journal articles and book chapters, on these topics. 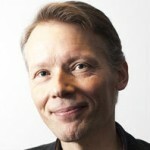 He is editor of the Finnish Journal of Vocational and Professional Education and serves in editorial boards of several scientific journals. 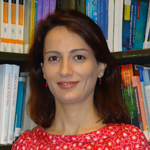 Dr. Maia Chankseliani is a researcher working on the DUVE suite of projects led by Dr. Susan James. With a background in education policy analysis using quantitative and qualitative methods (PhD University of Cambridge; Ed.M. Harvard University), Maia’s research interests have revolved around various aspects of education quality and equity internationally. The key areas of Maia’s current research into skills competitions are benefits for individuals, institutions, industry and the wider society; FE colleges’ involvement in skills competitions; WorldSkills contestants and entrepreneurship. 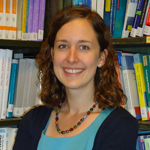 Dr. Stephanie Wilde is a Research Officer at SKOPE, based at the Department of Education, University of Oxford. She completed a PGCE in teaching Modern Languages, an MSc in Comparative and International Education and a doctorate on secondary education in eastern Germany at the Department of Education. She worked for the Nuffield Review of 14-19 Education and Training, and current research projects include an ESRC project looking at education, training and the labour market in Scotland, and working as a research officer for the DUVE (Developing and Understanding Vocational Excellence) project which examines the role of training managers in international skills competitions. Stephanie can be contacted by email at: stephanie.wilde@education.ox.ac.uk or by phone on: 01865 274037. 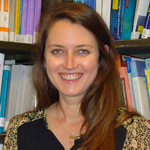 Jennifer Allen is a graduate student member of SKOPE and currently working towards the completion of her doctorate at the Department of Education at the University of Oxford. 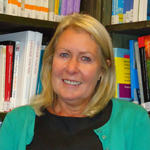 Her research interests include higher education, further education, student experiences, and graduate employment. 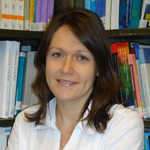 Marta Mordarska joined SKOPE in November 2010 as Administrative Officer. She holds an MSc in Applied Linguistics and Second Language Acquisition from University of Oxford. She began work as a Research Officer at SKOPE in January 2013. Her research interests include: apprenticeships and work based learning. Emma Miller joined SKOPE in 2006 as an Administrative Officer. She is now the Administrator on this and other SKOPE projects. Please share your ideas and comments about vocational excellence.